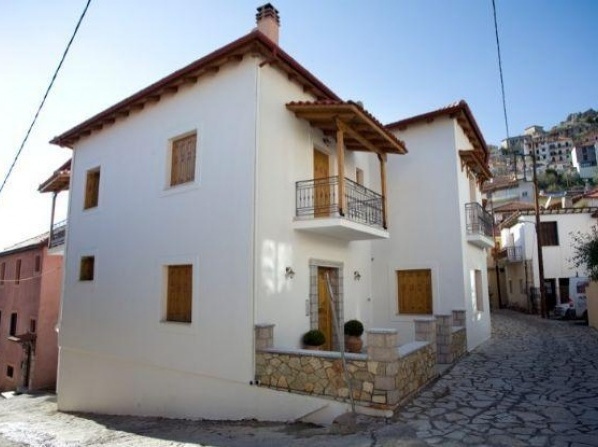 Situated at the center of Parnassos, at an altitude of 1200m. and only 10 minutes away from the cosmopolitan Arachova, this elegant hotel offers exceptional leisure facilities combined with breathtaking mountain views. Skamnos offers year-round accommodation, coupled with a luxurious and fully equipped wellness area, including sauna, hot tub and spa treatments. Each of the elegant rooms provides magnificent mountain views of the Parnassos National Park and the ski centre. Some have a fireplace. Parnassos ski resorts (10 km). The hotel offers a luxurious and fully equipped wellness area. 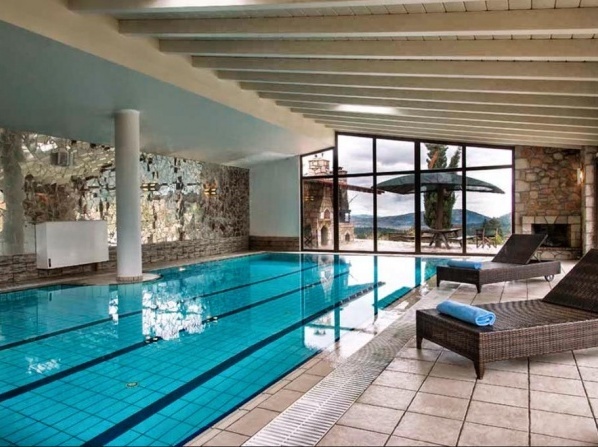 Situated on the outskirts of the picturesque Arachova, with amazing views of Delphi and Parnassos, this traditional hotel offers a fitness center, a heated pool and a sauna. Combining modern architecture and traditional materials, this hotel is situated just 1 km from Arachova, offering elegant suites overlooking the pool and Delphi landscape. This luxury hotel features an outdoor pool, free Wi-Fi and elegant suites overlooking the pool and the Delphi landscape. 15 km from Parnassos Ski Center. 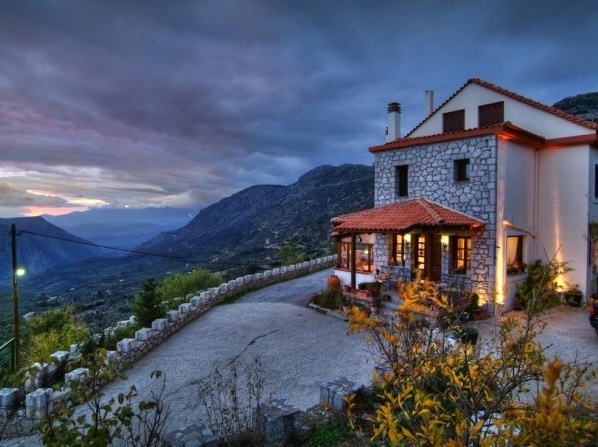 Overlooking Arachova’s Clock Tower, this stone-built guesthouse offers a lobby with fireplace and rooms with beautiful views of the valley of Delphi. The ski center is 20 km away. 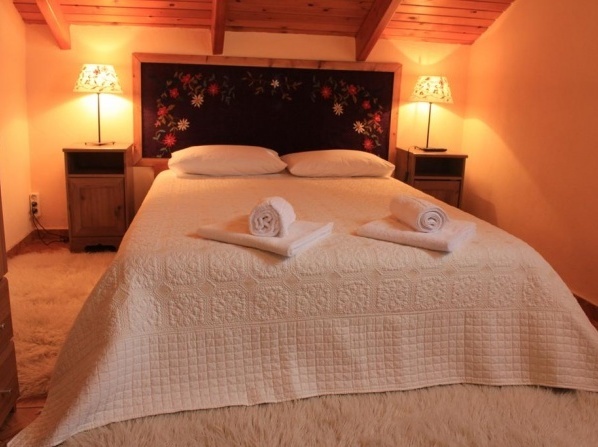 Parnassos Hotel offers elegant rooms, fitted with handmade furnishings and traditional rugs. Some units include a seating area and an open fireplace with free logs, while some also have a kitchenette and air conditioning. 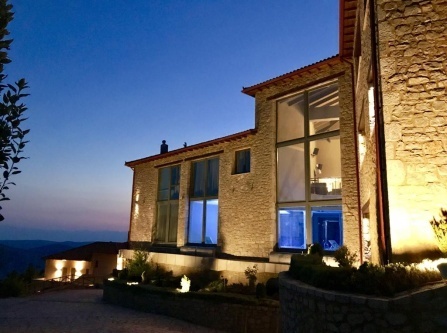 Situated on the plateau of Livadi Arahova and under the shadow of the snow-capped peaks of Parnassos, this architectural gem stands out for its unparalleled charm, facilities and services. The hotel offers 20 luxurious rooms and suites, each offering a unique decorative style. Each has a minibar and a luxurious bathroom. Complimentary welcome drink and bathroom amenities are also provided. Ski amenities include a ski shuttle and ski storage. The 5 star hotel features 20 luxurious rooms and suites, each decorated in a unique style. 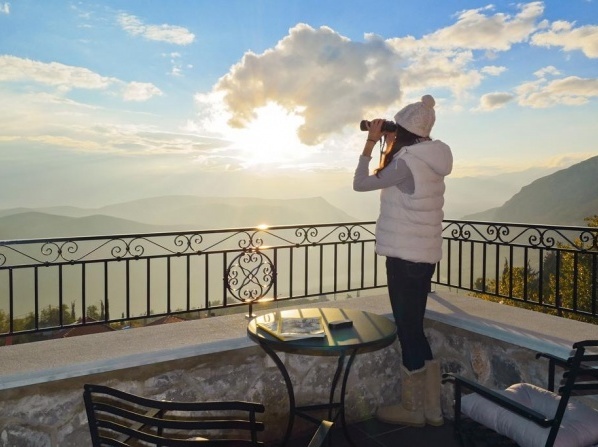 Located on the edge of Plistos’s valley, this stylishly furnished hotel is situated just 1.4 km from the heart of Arachova; its rooms offer a private balcony with beautiful views to Mount Parnassos. All individually decorated accommodation at the Nefeles features art from the family collection. Family-run Hotel Nefeles offers a rich breakfast buffet with local specialities. Barbecue facilities are also provided. An area with a DVD player, game consoles and board games is available for guests. Parnassos ski center is 25 km from the hotel. Α newly built guesthouse located in the heart of Arachova, offering uniquely furnished and styled rooms traditionally decorated. The Parnassus Ski resort is 25km away. Quietly situated in the picturesque village of Arachova, this traditional hotel offers self-catered accommodation with a fireplace. 25 km away from the ski center of Parnassos. Pets are allowed on request; some charges may be applicable. Opening to a balcony or terrace, all apartments have a fully equipped kitchen with a stove, fridge and dining area. A TV is available at the seating area, while the private bathroom is stocked with a hairdryer and free toiletries. Some apartments are split-level with a wooden staircase and beamed ceilings. 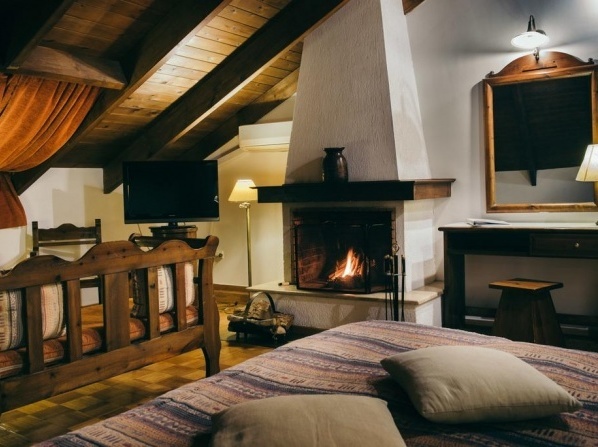 Centrally situated in scenic Arachova, this stone-built hotel features cozy apartments with a fireplace, amazing wood and mountain views and access to the garden. Parnassos ski center is 30 km away from the hotel. This budget hotel features inclined, wooden ceilings, draped curtains, traditional rugs and dining area. 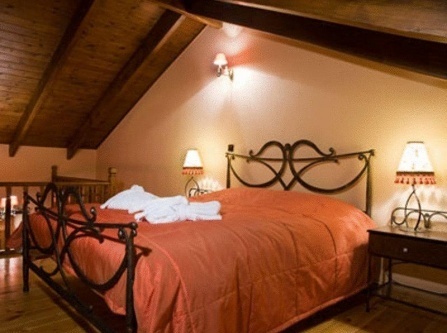 Situated in the center of Arachova, Celena Suites provides a variety of beautifully decorated suites. The split-level suites are individually decorated in an upscale, homey style, and feature wood-burning fireplaces, living rooms and loft sleeping areas with exposed beams. All come with free Wi-Fi, flat-screen TVs and minifridges. Complimentary breakfast is served in-room. 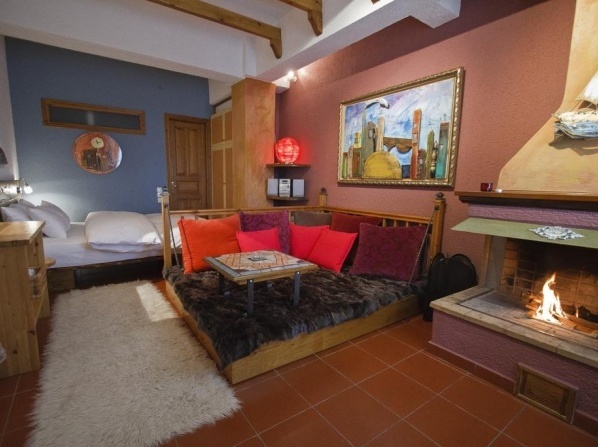 Elegant rooms with two levels located in the heart of Arachova, just off the main square. Feature a private parking and are equipped with free wireless access to the internet. 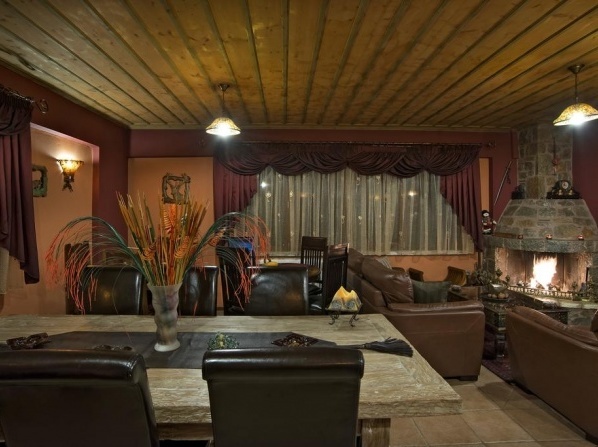 Each room has its own personality and includes a loft and fireplace create a cozy atmosphere. Near Celena Maisonettes you will find bars, cafes and restaurants. 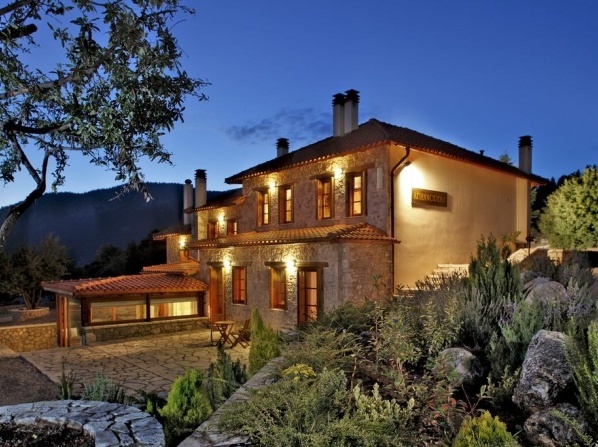 Located at the entrance of the popular Arachova town and up on the slopes of Parnassos mountain, the traditional stone-built Ontas Guesthouse offers a Spa Center and individually styled rooms with oriental decoration. All Ontas Guesthouse rooms have balconies with views and are equipped with satellite TV and walk-in hydromassage cabin. Some have a fireplace. A gym and the spa centre with sauna and hot tub are available at extra charge. Aromatotherapy, massages and other treatments can be arranged at extra charge. Guests can enjoy a homemade buffet breakfast with local dishes in the lounge by the fireplace. Parnassos ski center is 8 km away from the hotel. A gym and a spa center with hot tub and sauna are available at extra charge. Situated in Arachova Village, this traditionally built hotel is made of stone and it features a restaurant onsite. Beautiful interiors in earth colours, lounge with fireplace being the friendly meeting corner, bar with drinks and spirits while enjoying remarkable view in wood and leather design details. The main restaurant offers variety of buffet culinary tastes and flavors and can also be used for different type of events. At a 3248 ft altitude, this luxurious 4-star hotel offers amazing views of Delfi valley. 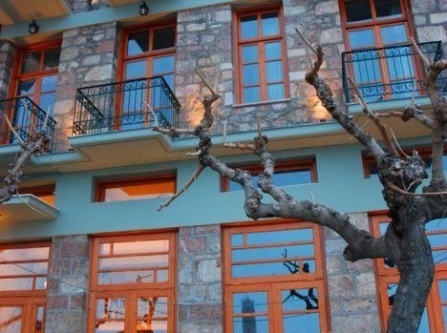 It offers an amazing view of Delphi valley, hammam and sauna facilities and located near excellent hiking tracks. 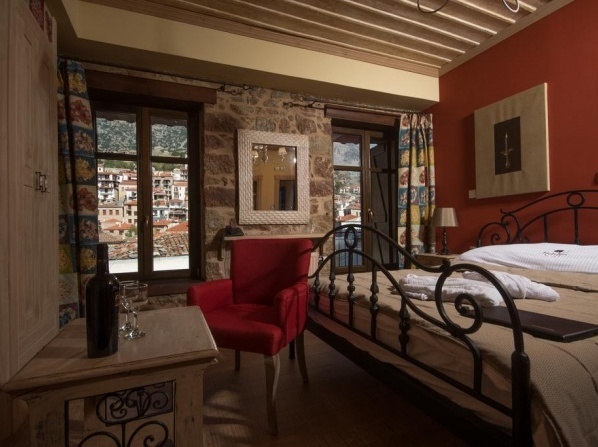 Each spacious and tastefully decorated room has private balcony with views over the valley of Delphi. Guests are provided with free coffee and tea. Situated at the foot of Parnassus Mountain, the modern Aegli Resort & Spa offers beautiful views of Delphi. The hotel features traditional stone, 3-storey houses with arcs and tile roofs. Aegli rooms are all equipped with a 32” LCD TV and boast view of the surroundings. All units open to a balcony, while most also have a fireplace. 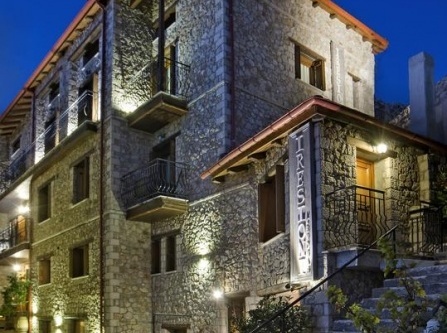 Located in the heart of the city this slopeside Distomo-Arachova-Antikyra hotel features ski-in/ski-out access to Corycian Cave and Parnassos Ski Center. One child up to 2 years stays for free in a child's cot/crib; family amenities also include a playground. 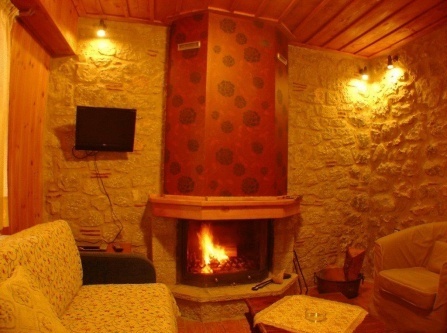 This traditional Arachova lodging offers rooms with fireplace and in-room breakfast, as well as a lounge area with fireplace. Parnasos Ski Resort is 14 km away. 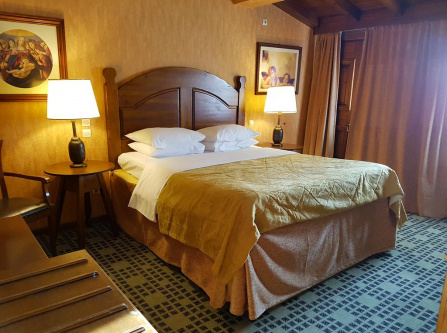 Ef Zin’s guest rooms have warm décor and wooden furniture. Each boasts a private fireplace and modern hydromassage shower cabin. Breakfast items such as jams and butter are available in each room. Parnasos ski resort is 14 km away. 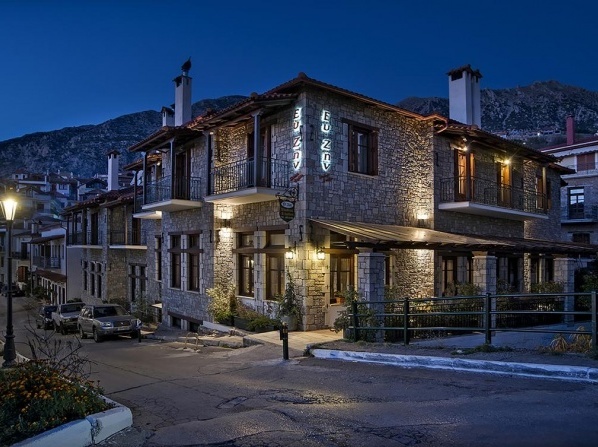 Located in the heart of Arachova, this hotel is just 8 km away from the archaeological site of Delphi. In the heart of the cosmopolitan Arachova a reconstructed stately home was converted to the hospitable Guesthouse Ariadne. The Parnassos ski resort is just 24km away. This traditional guesthouse offers good-value-for-money accommodation in Arachova, a popular Greek ski resort which has preserved its cultural heritage, a perfect destination for a winter skiing travel as well as for a summer holiday.